Romance of the Three Kingdoms is one of the Four Great Classical Novels of China. 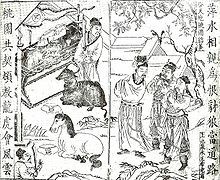 It was written by Luo Guanzhong in the 14th century. Nowadays, it is still hugely popular in East Asia.